TGx:Details for torrent "[FreeCourseWeb] Pluralsight - Protocol Deep Dive - EIGRP"
Torrent details for "[FreeCourseWeb] Pluralsight - Protocol Deep Dive - EIGRP"
EIGRP is a routing protocol that is commonly used on enterprise networks, but often it is not completely understood. 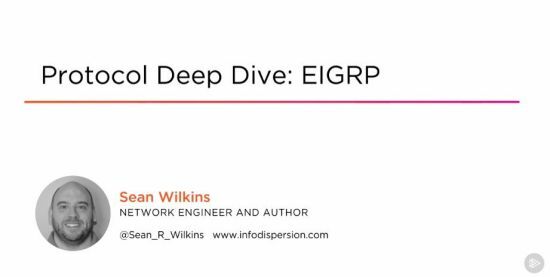 In this course, Protocol Deep Dive: EIGRP, you will learn foundational knowledge of EIGRP. First, you will learn about the EIGRP's essential concepts, which will then be built on as the course continues. 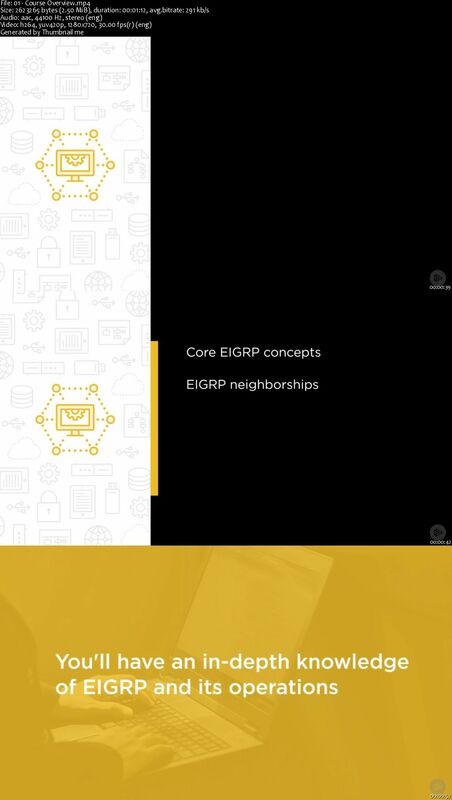 Next, you will focus on EIGRP neighborships, how they work, and what can prevent them from working. You'll also learn how information is exchanged between EIGRP devices and how to understand why each message is sent, as well as move to a lab environment where you can see the concepts in operation. Finally, you will explore a few more advanced EIGRP topics that are commonly seen on modern networks, and then end the course with a module on EIGRP load balancing and how its operations differ from other routing protocol options. When you are finished with this course, you will have the skills and knowledge of EIGRP needed to successfully navigate its use in most common enterprise environments.